Like so many among my generation, Star Wars was a staple of my childhood. I was in the womb when my parents saw Return of the Jedi in ’83 and the imaginative part of me likes to think that my deep appreciation for the franchise began right there, in utero, listening to John Williams’ epic score amid the clash of lightsabers and ewok cheers. I wore out my Father’s Betamax tapes from countless repeated viewings in the years that followed, and even fashioned my own utterly pathetic homemade lightsaber (silver paint hilt, green lance) at age 7 from a wooden rod I purchased from Home Depot. I’m positive that many of you reading this likely have similar nerdy childhood stories that bring a smile to your face. Fast forward to The Force Awakens in 2015 (we’ll skip the Prequel years…haha), and I couldn’t have been happier with J.J. Abrams safe, cozy, familiar Star Wars episode. It simply felt like the perfect companion piece to the original “holy trilogy.” It not only introduced us to fresh new characters in Rey, Finn, and Kylo Ren, but it also held true to the staples of the franchise. It was practically a remake of A New Hope, and to be honest, I was just fine with that. Did it take a lot of chances? No. Break new ground? No. Rather, it gave fans like me the nostalgia and adventure that was long overdue. This brings us to The Last Jedi. I refuse to recycle the plot and characters for this film, as it’s almost guaranteed that you, the reader, have already seen it. Instead, I will focus my review on my thoughts surrounding the experience of The Last Jedi and my own personal journey from initial supreme disappointment to a respectable appreciation for what Rian Johnson was trying to accomplish. I still can’t say that I like this film all that much, though I do feel like I finally understand the thinking process that went into crafting this odd duck entry in the series that genuinely wanted to set fire to our own conventions about what the franchise “should” be. Shortly after seeing it in the theater, slashfilm posted a wonderfully written article titled “The Last Jedi doesn’t care what you think about Star Wars.” Author Jacob Hall absolutely hit the nail on the head with his exploration of fan disappointment with Rian Johnson’s vision. More remarkably, like it or not, he made the valid argument that many of us (myself included) needed to let go of our pre-conceived notions of what a Star Wars film should be. Johnson was given a cinematic sandbox to play in, and fans be damned, this was his baby. Now that I have let go of the specific disappointment related to my expectations not being met…and appreciating the vision that Johnson was going for, I can still form my own opinion on the things I liked and didn’t like about the film. There are moments of supreme beauty and nerd fantasy that I am thankful for: Luke and Leia reuniting for a surreal beautiful moment, Luke and R2 seeing each other for the first time in years on the Falcon, and the absolutely stunning throne room saber battle just to name a few. There are moments that Johnson captures here that will make life-long fans interchangeably giddy and emotional. Likewise, I can also allow myself to be completely disappointed in various aspects of the film that remain questionable choices. Like Mark Hamill himself, I completely disagree with the film’s version of Luke Skywalker. Given the backstory provided here about how Luke became such a hermit curmudgeon, the angle sought is given enough explanation that viewers can understand his motives. On the other hand, given the Luke we know and love from the original trilogy’s story…he simply would never make the choices he makes in this film. Luke was a hero, through and through, and would do anything and everything to help his friends and bring balance to the force. Another extremely rough spot that doesn’t get better with subsequent viewings is the near cringe-inducing humor at times. Everything from Poe’s “on hold” conversations with General Hux in the opening moments to Luke’s shoulder brush in the finale to Finn and Rose’s awkward exchanges just don’t sit well with a film that, often times, takes itself so seriously. It’s a strange element that seems out of place in so many scenes throughout. Finally, the script itself features some downright poorly written dialogue that is cheesily delivered by the admittedly talented cast. I wish I could say that I enjoyed The Last Jedi as much as I hopelessly wanted to! It’s a deeply flawed Star Wars film that has some beautiful moments, but isn’t nearly as exciting or nostalgia inducing as it’s predecessor, The Force Awakens. I couldn’t be happier that J.J. Abrams is back on board for Episode IX, as I’m hoping for a return to form for a franchise that I continue to adore. 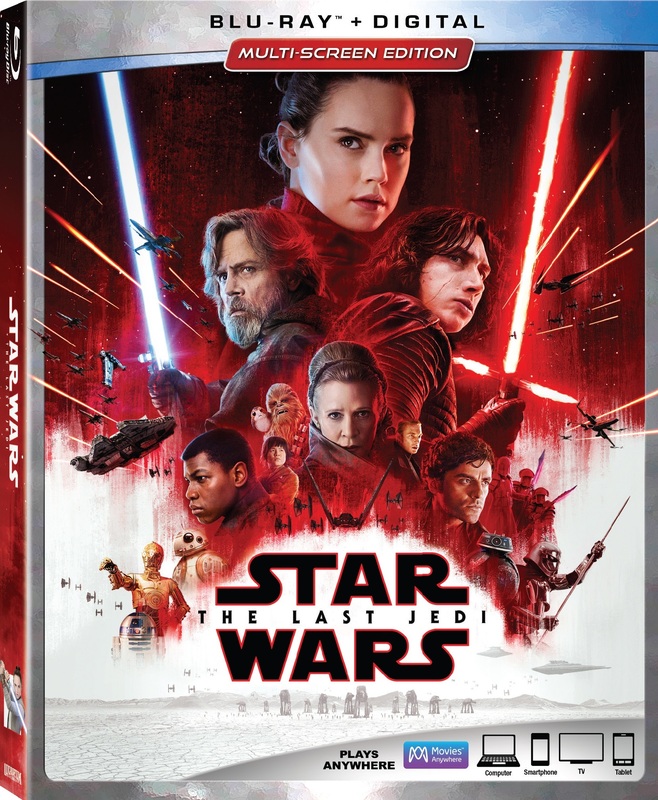 The Last Jedi graces the Blu-Ray format with a beautifully rendered high definition image that is bursting with color, in-depth detail, and striking clarity. I only wish I had the chance to see the 4K UHD version of the film because it is a native 4K disc! Regardless of how you feel about the film, fans and home theater enthusiasts will certainly be pleased with these beautiful visuals that come to life on the format. Everything from the crimson red scenery of Snoke’s throne room, the awe-inspiring contrast of the white-red sands of Crait, and the emerald green/gray stone vividness of Ahch-To shines on the format. Black levels are solid and inky and the digital print is perfectly clean. This is a flawless transfer in every aspect! Just as important to the home theater experience is the dynamic and bold audio track presented here on a 7.1 DTS-HD track. It’s important to note that this Blu-Ray edition does not feature the Dolby Atmos (superior) track included with the 4K UHD release. With that being said, this is still a very powerful and diverse audio experience that gave my system a run for its money! Everything from the crackling light sabers to the thundering epic space battles to the cry of the sweet little Porgs makes for a surround track that completely envelops the viewer and invites you into Star Wars universe with an immersive complexity. 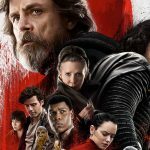 Audio Commentary with Director Rian Johnson- Whether you loved or hated The Last Jedi, it will be interesting either way to listen to the Director’s audio commentary track where he dives deep into his process, reactions to the film, alternate ideas/concepts that didn’t make the final cut, the film’s special place in the saga, and much more. Johnson is always fascinating to listen to and this commentary is sure to delight collectors who appreciate further insight into the filmmaking process. The Director & The Jedi: Full Length Documentary- This incredible full-length documentary follows the making of The Last Jedi from conception post- Force Awakens to script rehearsals, storyboarding meetings, building the sets, fight choreography, production, and post. It’s incredibly enlightening, and watching it with my 7 year old son and hearing all of his wonderful questions about the filmmaking process was the best part of the experience. 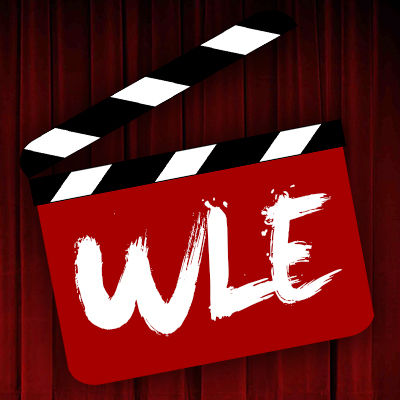 He was enamored with the filmmaking process behind one of his favorite series, as was I. Director Rian Johnson’s story in particular here is the most fascinating aspect, as we watch the journey of a director being handed the reins to a franchise and every step he takes throughout the process to put his own signature stamp on the material. Even if I didn’t enjoy the direction he took…I respect and admire his dedication and willingness to take chances. Balance of the Force- This one runs 10+ minutes and features Johnson digging deep into certain key aspects of the film (character relationships, Luke’s journey, and more). Much of what he discusses here is already featured in the audio commentary. Scene Breakdowns- The production behind three integral scenes is broken down for fans. This is another interesting piece, especially as a companion to the aforementioned documentary. Andy Serkis Live! (One Night Only)- My 2nd favorite special feature behind the documentary is watching the brilliant Andy Serkis act out all of his Snoke scenes in the motion capture suit. I impatiently wait for the day that motion capture performances are nominated for academy awards (my wishes for Serkis’ nomination for War for the Planet of the Apes this year went unfulfilled). This is brilliant stuff! Deleted Scenes (14)- Roughly 23+ minutes of deleted scenes are featured here. I though the film was too packed with filler to begin with, and most of these scenes add nothing special with the exception of seeing Luke grieve for his old friend Han. An interesting addition for die-hard fans but these moments were best left on the cutting room floor after all. This Blu-Ray edition comes with a beautifully rendered slipcover (“O” card) featuring the theatrical poster for the film! The crimson red sands of Crait contrast well with the character profiles and collectors will appreciate the embossed features. On the reverse of the packaging you’ll find smaller character shots lining the lower part of the slip along with an epic shot of the film’s climactic Kylo-Luke battle on Crait. Special features are listed for the main disc (film only) along with the bonus disc and technical specifications. Though Star Wars: The Last Jedi has grown on me slightly since my initial supremely disappointed reaction in the theater…I still can’t honestly say that I enjoyed it. I can appreciate the “burn it to the ground” notion that Johnson was going for to break away from traditions and expectations…but call me selfish all you want, I miss those staples of the Skywalker saga. I wanted a “safe” Star Wars film. I wanted the wonderful questions that JJ Abrams setup for us in The Force Awakens to be answered. I wanted Luke to be the hero I knew growing up. I wanted the mysterious Snoke to be more than just a red herring. But alas, as the aforementioned must-read Slashfilm article stated: “The Last Jedi doesn’t care what you think about Star Wars.” This is a galactic “gray area” with imperfect heroes and villains who are complicated, vulnerable, and even disappointing remnants of their former selves. I personally didn’t want that reality in this particular sci-fi fantasy…but it’s not my film and to each their own. This Blu-Ray edition from Walt Disney/Buena Vista Home Entertainment provides viewers with a flawless home theater experience that will certainly be utilized as demo material for enthusiasts, and the bonus features are in-depth and entertaining. Star Wars: The Last Jedi comes recommended for the format and home viewing experience even if I can’t quite recommend the film itself.